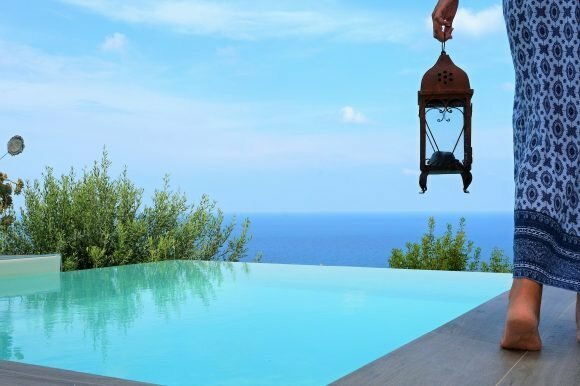 The Massimo Villa Collection has earned a reputation for being so much more than a Sicilian holiday villa listing site. Just read the reviews and you will see why. Happy villa guests wax lyrical about Massimo and his friendly local team in Cefalu, talented local chefs who cook in the villas and the bespoke concierge service. It is clear that if you stay in one of Massimo’s villas in Cefalu, you not only have a villa with a pool near the beach to call home but you experience a warm and genuine Sicilian welcome too. Massimo’s new initiative for 2019 is a unique and charming addition to enhance his friendly service. Each group staying in one of Massimo’s villas in Cefalu is invited to choose a complimentary bottle of wine from Massimo’s newly opened wine bar, the ‘enoteca’, Donna Luna. It is nestled in the mountains above Cefalu in the little village of Sant Ambrogio, joining just a couple of family run restaurants and a village shop. Donna Luna gives both locals and villa guests the chance to taste an array of Sicilian wines in an intimate setting. As villa guests, you choose your favourite bottle to take back to your villa or upgrade to Massimo’s gold concierge service and you can choose six complimentary bottles as part of a selection of luxurious extras. Opening Donna Luna is very much in line with Massimo’s heartfelt philosophy – giving visitors an authentic experience of Sicily while revitalising local businesses in his home town and rural Sicily. 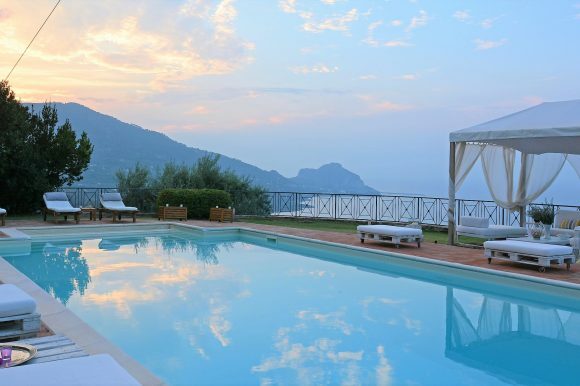 The majestic, green mountains of the Madonie National Park form a magnificent backdrop to the sandy beaches of Sicily’s northern coast and a heavenly setting for this spacious villa. From the fishing boats of Cefalù and the village of Sant’Ambrogio, a country road winds up through pine and olive trees to sleek wooden gates, opening into a glorious private garden and a welcoming home from home. Created by Sicilian owners as a modern and practical space for their family and friends to enjoy, it is the kind of place where you can truly relax. While children let off steam on the swings and slide, you can sit out on the terrace or by the pool with a glass of wine in hand. Cook up a storm in the large open plan kitchen, take your pick from the home-grown vegetables and herbs and enjoy a barbecue or two by the pool at sunset. It is perhaps the sea views which are the most memorable, stretching from the rock and lighthouse of Cefalù to the Aeolian islands on the horizon, visible from virtually every corner of the lawn, terraces, kitchen and bedrooms. Villa Rita: The villa rental price is €2750 – €4550 per week for up to 6 sharing. Nestled on a hillside surrounded by olive trees with scenic views to the coastal town of Cefalù below, Villa Talia is an ideal bolt hole for a relaxing Sicilian holiday. From here you can easily enjoy the best of both coast and countryside, with mountain walks in the Madonie National Park as well as long sandy beaches to discover nearby. With two bedrooms, this modern holiday home would suit a couple looking for a little more room or a family with one or two children. Step through large French doors from the open plan living space and bedrooms to the garden where a smooth terrace, complete with small infinity pool sets the scene for a cooling dip before a snooze in the sun. There’s an outdoor kitchen for summer meals where you can fire up the oven for fresh pizzas, dining together under the green leaves of a natural canopy. 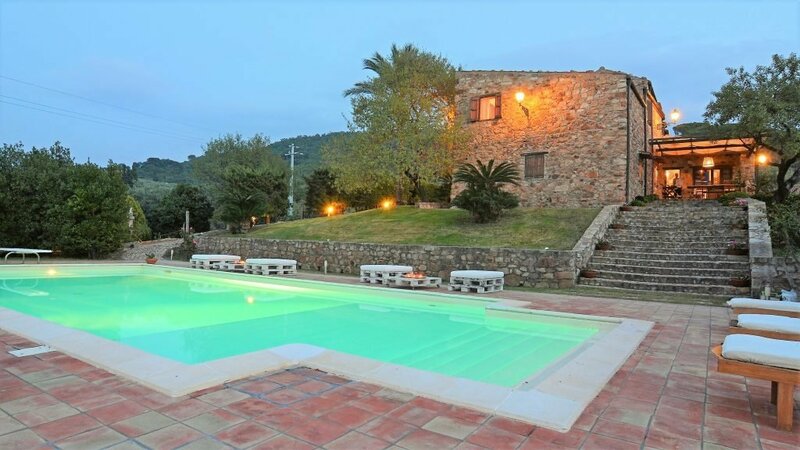 Villa Talia: The villa rental price is €1250 – €3250 per week for up to 4 sharing. If sea views, space and a large pool are high on your holiday wish list, then this impressive country home is a good choice. Set on a mountainside, with views over the sea to the lighthouse of Cefalù, this beautifully converted former monastery is a welcome retreat. The authentic stone interiors have an appealing country style throughout, with bedrooms tucked away on two levels, reached by two stone staircases – ideal for a family with older children or a group of friends. The lush garden dominated by tall palm trees surrounds the villa, offering hidden corners to read a book or have a siesta. Head down a gently sloping lawn to the magnificent pool, long enough for swimming laps before basking on the terrace which is bathed in sunshine from dawn until dusk. Pick figs, lemons and seasonal vegetables from the kitchen garden and barbecue fresh fish for a summer meal together on the shady dining terrace. Villa Rosa: The villa rental price is €3750 – €6550 per week for up to 10 sharing. About 15 minutes drive away is a long sandy beach and medieval Cefalù, used as a location in Giuseppe Tornatore’s film Cinema Paradiso. Here you can stroll through the historic centre with gelato in hand, enjoy a long sandy beach and buy fresh fish, fruit and vegetables from small street stalls. Pizzerias, fish restaurants, bars and boutiques line the cobbled streets of the historic centre and at its heart lies the impressive Arab-Norman Duomo, now a UNESCO World heritage site. 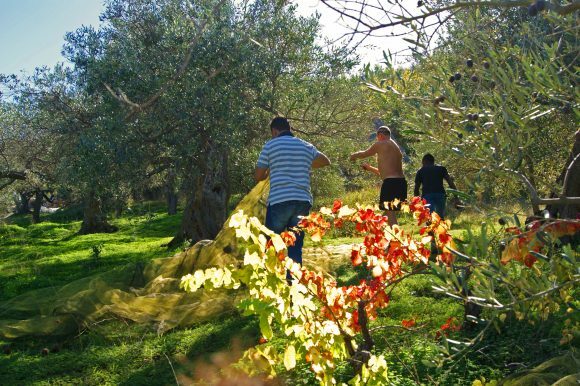 Your local contact, Angelo, can recommend the best places to see and things to do in the area and is on hand to arrange fishing trips, winery tours and pizza making lessons for a real taste of Sicily. Explore the mountains of the Madonie National Park, home to the winery of Sant’ Anastasia, walking trails and mountain villages. For a taste of city life, Palermo is just an hour away by car or train for Sicilian street food, lively markets and the famous Teatro Massimo and location in The Godfather part 3.